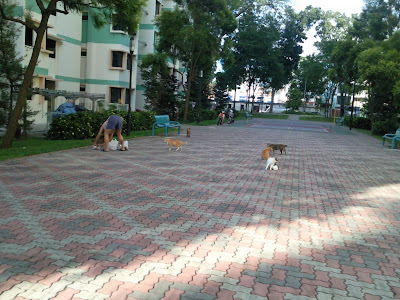 Cat feeder providing breakfast to the population of about 10 cats in Boon Lay every morning! 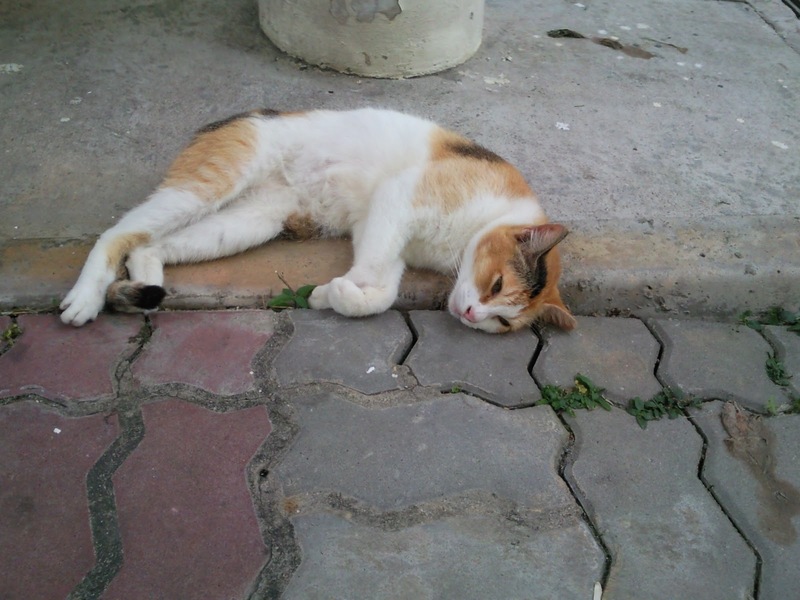 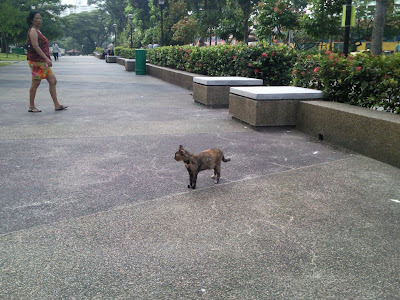 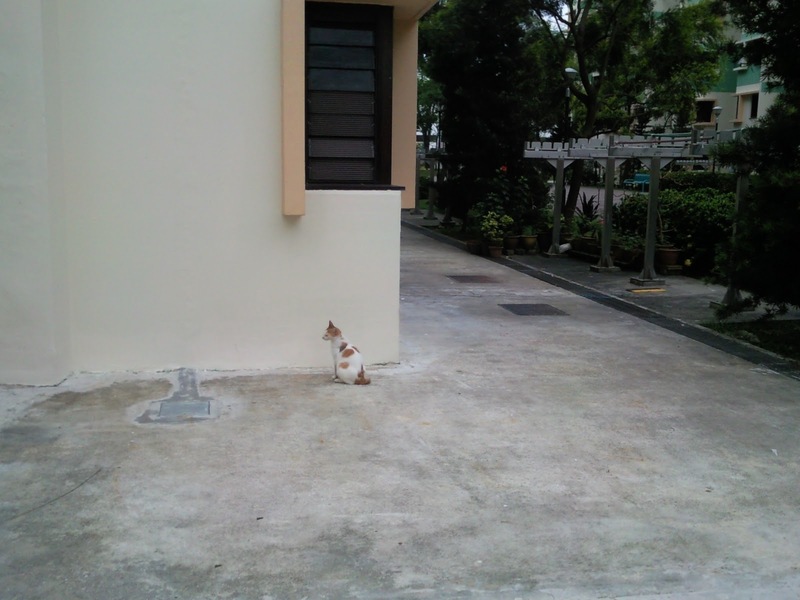 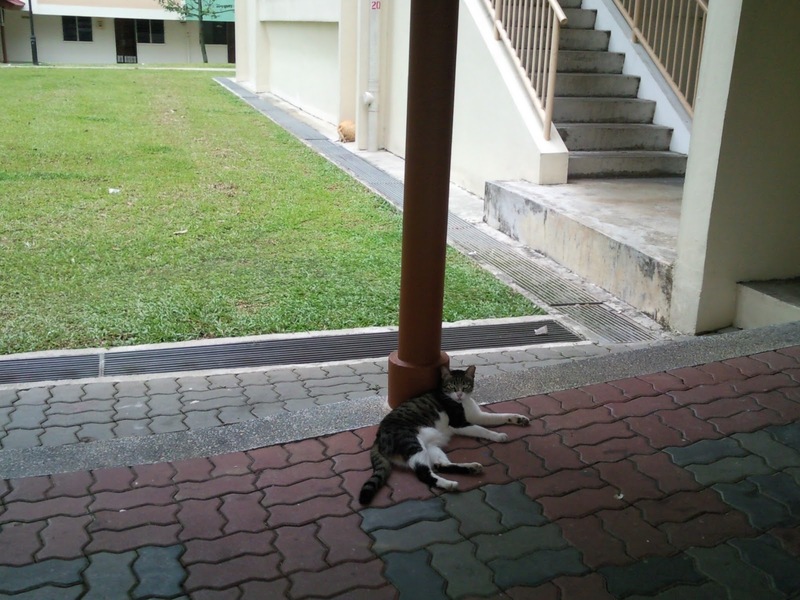 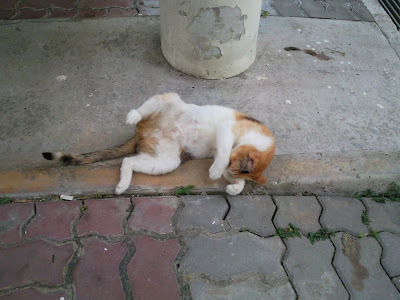 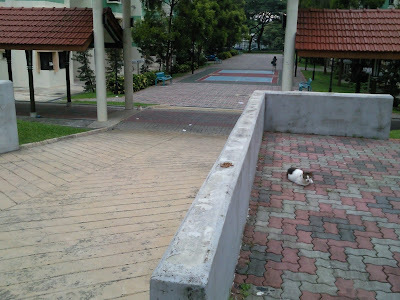 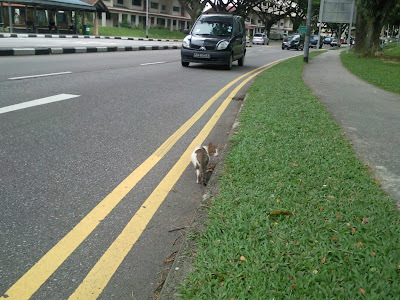 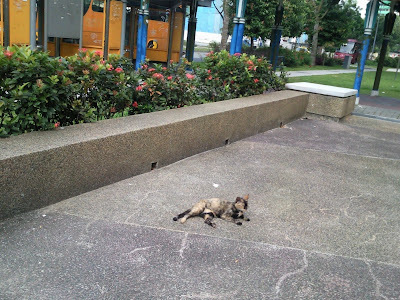 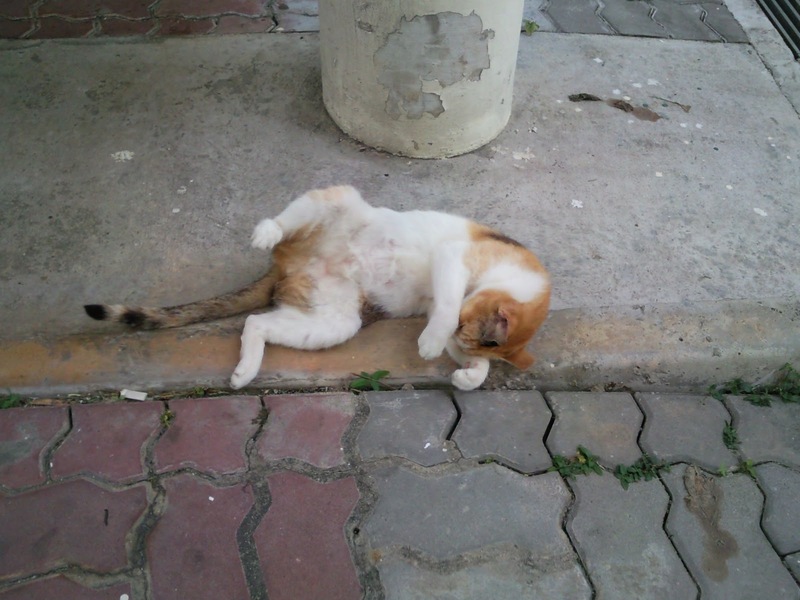 There are many cat lovers in Jurong , particularly i want to mention the lady the picture below. 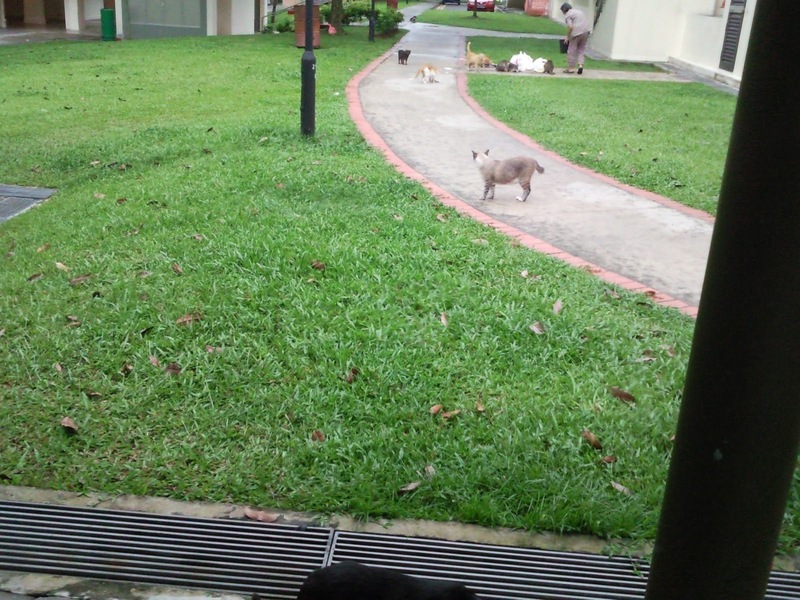 She is so consistent with her cat feeding programmes such that the cats will wait patiently for her every morning around 830am each day without fail! 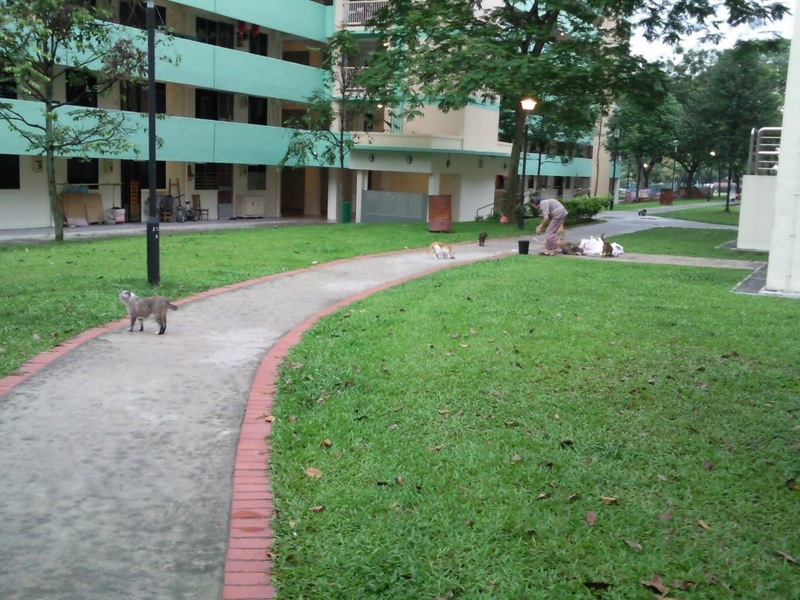 She will provide newspaper/waste paper to put their food in front of each cat. In order to prevent fighting, every of them has their own unique feeding spot! 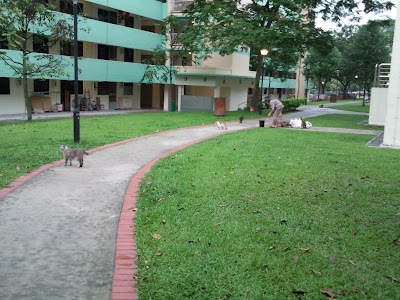 There's once she came down later than she used to at ~9am, the cats went frenzy and starts to meow meow away . 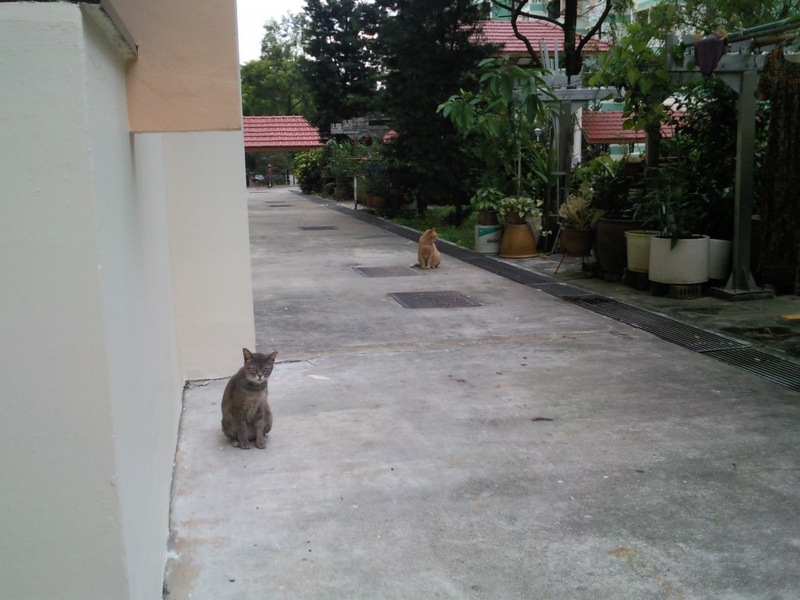 But still they refused to move away from their individual spots and waited patiently for her. I know of another cat feeder who will take charge of the cats' diet every night, I reckon he is spending about ~S$100 per month just on cat food alone. 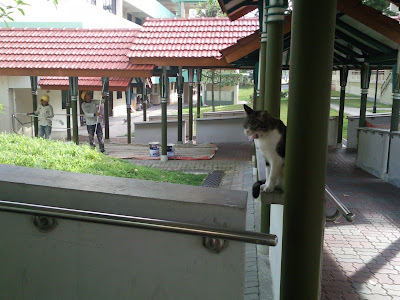 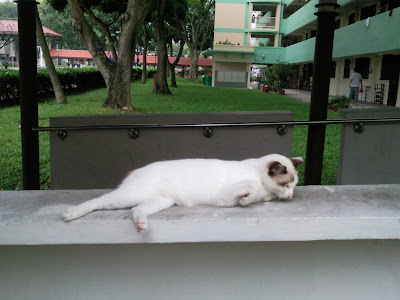 He welcomes and will allow the stray cats to climb into his home on the mid-floor of Boon Lay during the day. When the clock strucks 10-1030pm,he will be on his round to feed the cats from Boon Lay blk 214 to blk 211 area , unless he is doing his part-time security guard night shift. 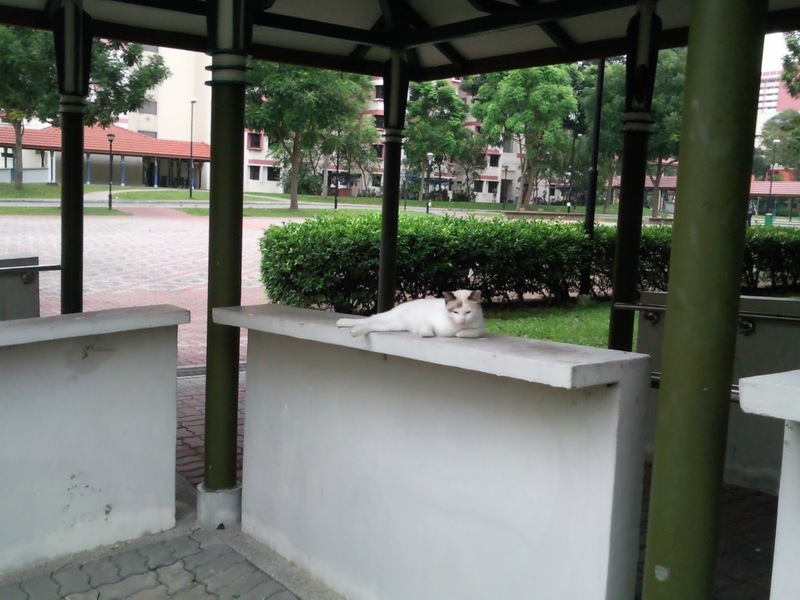 what are you looking at ,where's my meal ? 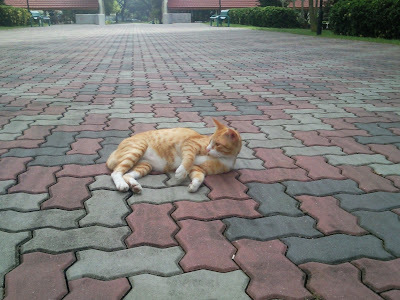 i wonder when the next meal coming for this cat?